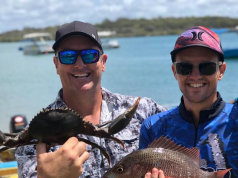 Scotty takes his mate Steve Renouf and Steve’s son Charlie up to North Queensland for the weekend of the annual Weipa Fishing Classic. 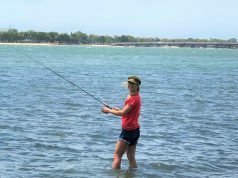 This coastal town sits on the western side of the Cape York Peninsula and is home to about three and a half thousand people, but that number swells in June to accommodate families and fishermen from far and wide who come along to fish in the event. 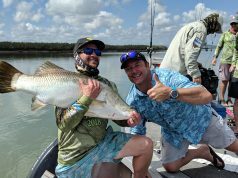 Every day fishermen spill out from the town of Weipa and head off across Albatross Bay to fish the incredible waters of the Gulf of Carpentaria. 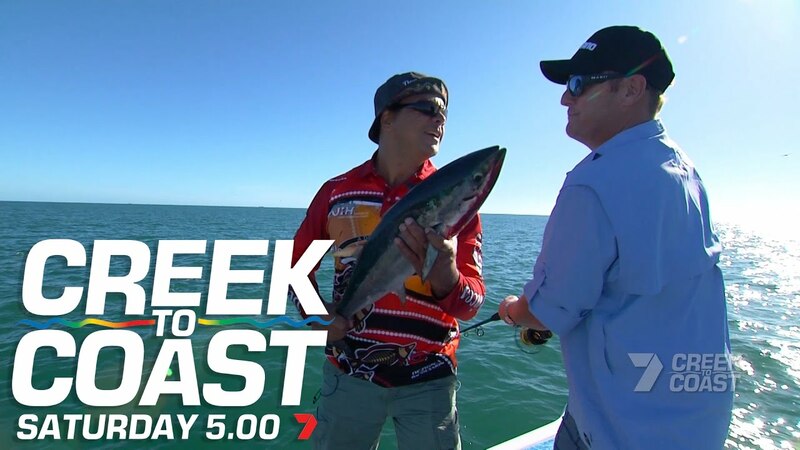 Fish is guiding our again crew this year and it doesn’t take long to get onto the tuna. 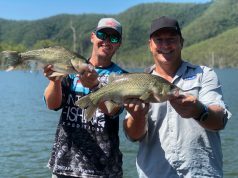 Up in the Pine River further north the boys pull in whole variety of species including; blue salmon, queenfish, bream, cod and the elusive barramundi. After the comp winds up Scotty gets the chance to jump in the chopper for a bit of heli fishing and take off to the mouth of the Doughboy River and some untouched fishing pools inland from Mapoon. 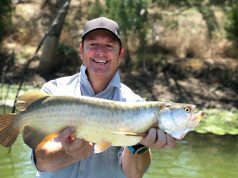 It’s an adventure that fishing dreams are made of!